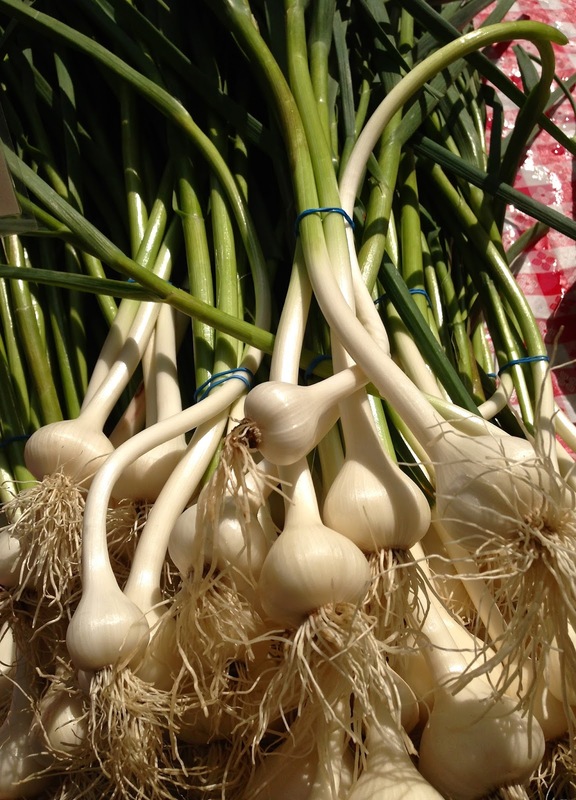 Georgia's Home Inspirations: Green Garlic and Garlic Scapes! As many of you know, it's green garlic/garlic scape season! 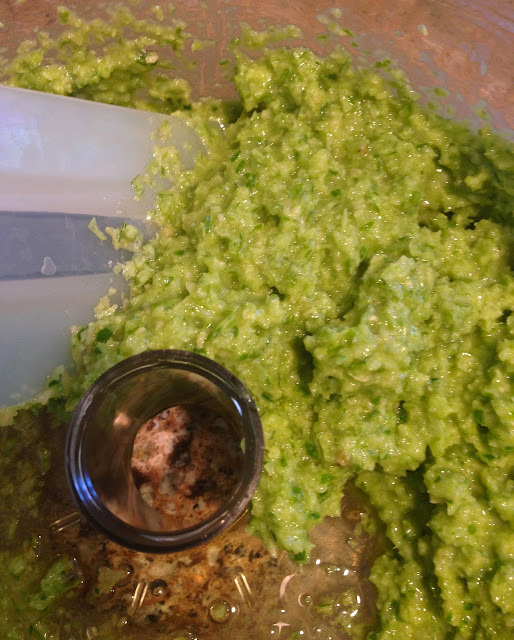 If you're unfamiliar with these goodies, green garlic is the young version of the garlic plant that we're all familiar with. 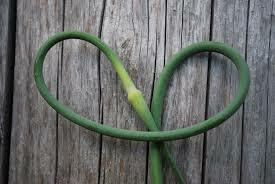 Scapes, the curly "flower stalks," appear after the first leaves in a young garlic plant. Take a look at these pics from my local farmer's market! 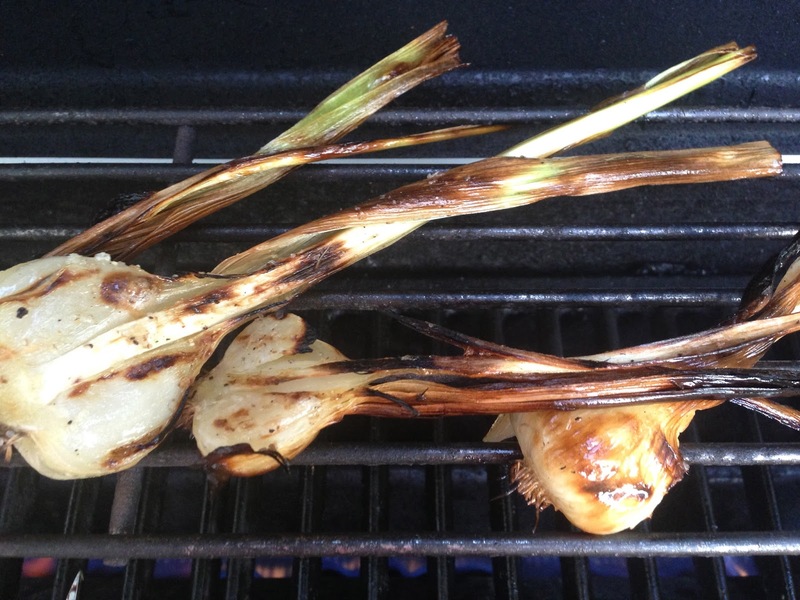 What I like best about young garlic is the mellow garlic flavor and that every part of the plant is edible, the bulb, the stalk and the yummy scapes! Now, what to do with them. Green garlic can be used everywhere you use regular garlic, but why not just grill them. 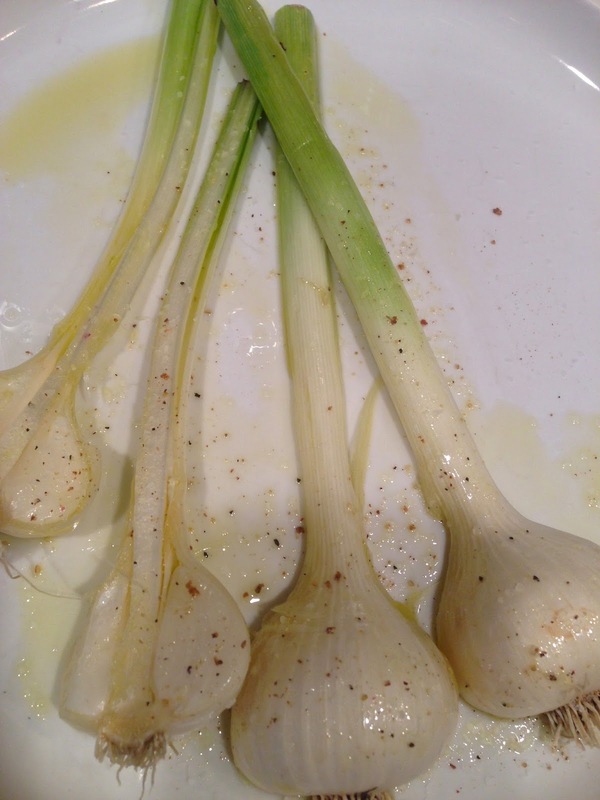 Slice the garlic vertically, dress with olive oil, salt and pepper and grill until tender turning until you have a little char. 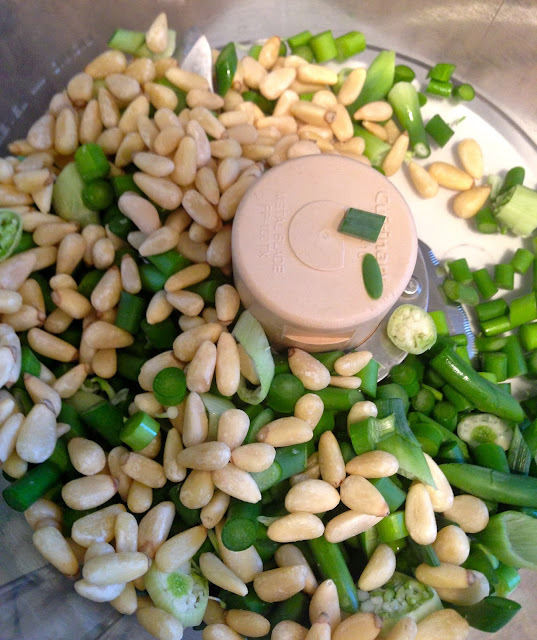 Put scapes and nuts into the bowl of a food processor or use a blender. Pulse to chop and blend. With machine running, drizzle in the olive oil and process until smooth and creamy. When blended, put the mixture in a bowl and fold in the cheese and season to taste. Yum! Note: You can change the ratio of scapes, cheese and nuts to balance the garlic flavor to suit your taste. 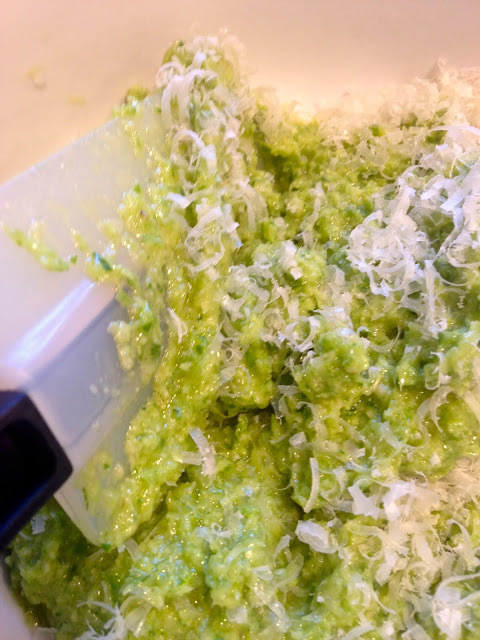 Consider trying different cheeses; pecorino romano or asiago also work well. Garlic scape pesto will keep for a week in the fridge or for a couple of months frozen. If you plan to freeze it for later, leave the cheese out and fold it in after thawing. 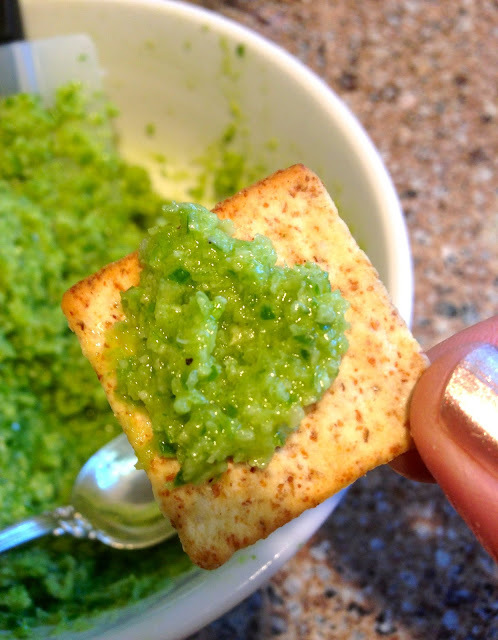 Float a little olive oil on top of the pesto and press some plastic wrap onto the surface before storing to preserve flavor and freshness. Want more ideas? 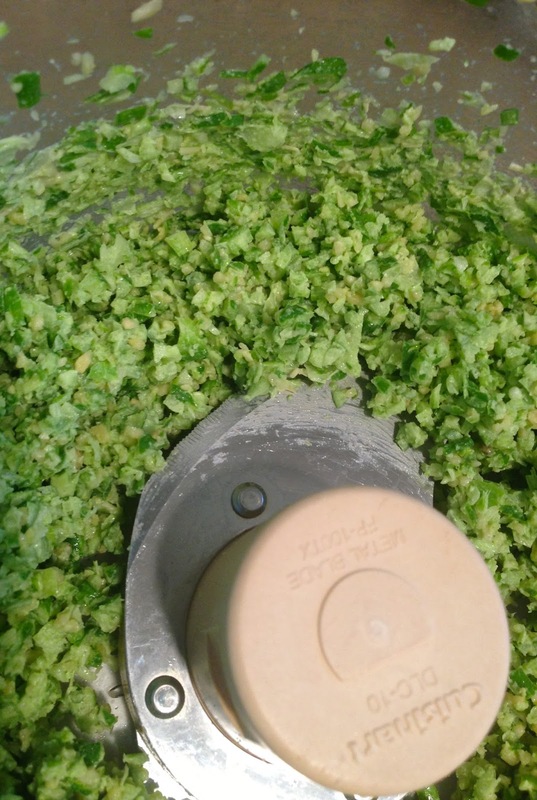 Chop scapes into salads, add to stir fry dishes, salsa, hummus or guacamole. Use in soups or as a topping for pizza. Don't miss out! 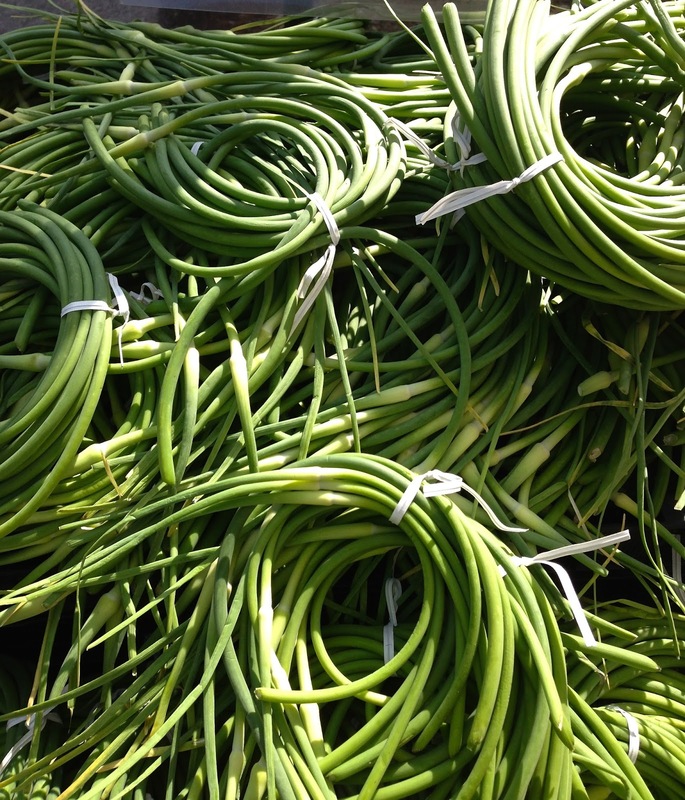 Find green garlic and garlic scapes at farmer's markets and supermarkets now before they're gone. Store in the fridge wrapped lightly in a damp paper towel and plastic until ready for use.